Woods & Associates is excitied about new central listing, "Kathleen" 2008 50' Wesmac. Wesmac's are a custom downeast style boat. 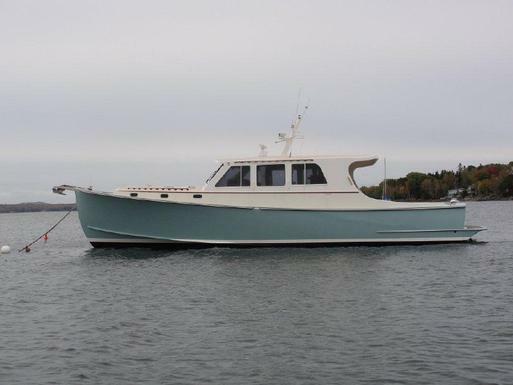 Kathleen has a large aft cockpit suitable for entertaining or tender. Large utility/storage area under cabin sole. Perfect family cruising boat and is well suited for shallow waters. Excellent condition...a must see! She is located on the New River in downtown Fort Lauderdale and easy to view!